These products for cat lovers will pamper your kitty. They include some products for scratching, some for grooming, some for playing, and some for resting. If you're the consummate cat lover, you'll want your kitty to have all the best stuff. Below is a list of top picks. 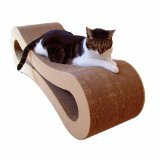 The Scratch Lounge is a combination cardboard cat scratcher and cat bed of sorts made of 100 percent recyclable materials. The sides offer enough height for your cat to "hide" and unlike some other scratching boards, you can get a replacement floor when it's time. If your cat is climbing the furniture, you might try placing one of these near her favorite spots to scratch, and see if your furniture becomes less interesting. For something more elaborate, or to give your cat additional exercise as well, try a cat scratching post or climbing furniture with scratching surfaces built-in, such as a kitty gym. For something a little more stylish, check out Jazzy's experience with the Ultimate Cat Scratcher Lounge by PetFusion. reduce the frequency of hairballs and constipation. Experts recommend that you put together a grooming kit and use it often. The mainstay of grooming tools is a brush known as a slicker brush. The slicker brush will help to loosen matted hair and brush the undercoat and top coat. The FURminator removes hair that brushes don't pick up. 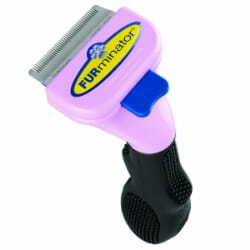 In addition to a slicker brush, another tool you should use, however, is a deshedding tool, like the Furminator. A shedding rake (or shedding brush or blade) will remove a large amount of hair, greatly reducing the amount of hair ending up in your cat's gut and creating hairballs. See hairballs in cats for more information on how to cut down on the hacking, and cat grooming tools for a list of essential tools for your kitty's kit. If you know anything about cat toys, you know that Da Bird is a big fan favorite. It's a serious cat toy when playtime is at hand, er, um, at paw. A toy you might have overlooked though, and one your cat may love, is the Kong Kickeroo! When attacking, cats instinctively grab the neck and head of their prey with their paws and teeth, and use the claws on their back feet to kick and hack at the abdomen. You've probably seen your cat do this. The Kong Kickeroo is perfect for satisfying this need in your kitty. The Kickeroo is catnip filled, and comes in several colors and patterns, including giraffe, tiger, and cow (not that your cat will care about colors). You might just want to add this to your list of best cat toys. The Marmalade Pet Sweet Lounge Cat Bed can replace a piece of furniture, or act as a piece of artwork. It's also a scratching surface, and can be flipped over as well. While not big enough for a lion, this is a massive piece of cat furniture and great for just lyin' around. Here are some other options for cat beds. Here are some more products for your cat supply wish list that tend to get high marks from kitties and people who are owned by them. 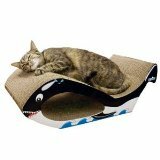 The Imperial Cat Orca Cat Scratch n Shape is a smaller and less expensive scratching lounge/bed than the Marmalade. Many cats don't drink enough water, and chronic dehydration may be linked to kidney disease in cats. 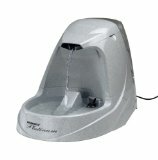 Cats often tend to drink more if the water is moving, however, which makes the Drinkwell Platinum Pet Fountain a great choice for providing fresh water. Comments: What do you think? Have your say about what you just read. Leave me a comment in the box below. Can cats eat tomatoes or are they poisonous?